Explanation: First, there was an unusual smell. Then there was a loud bang. But what appeared to the eye was the most amazing of all. 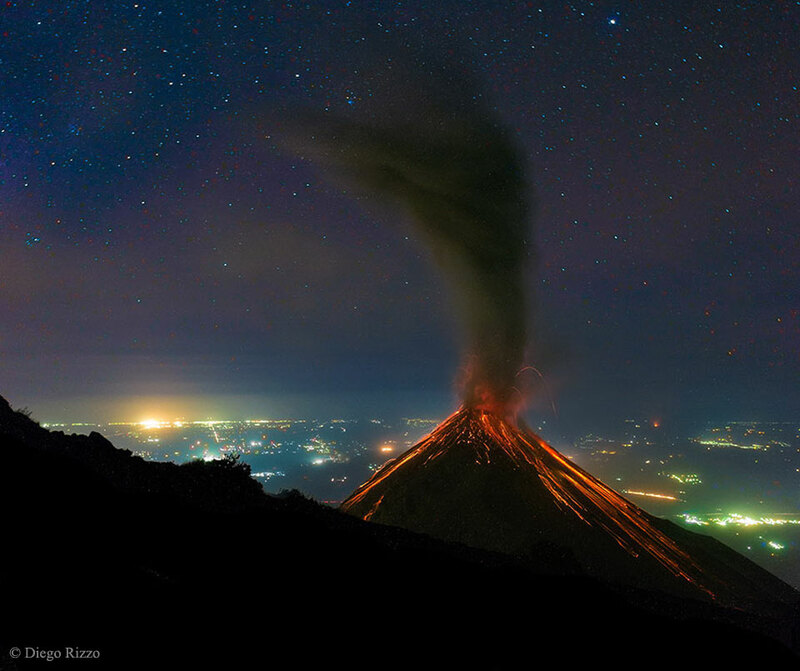 While waiting near midnight to see a possible eruption of Volcán de Fuego (Volcano of Fire) in Guatemala last month, a ready camera captured this extraordinary image. Lava is seen running down the side of the volcano, while ash rises up, and glowing magma bubbles explode out of the caldera. 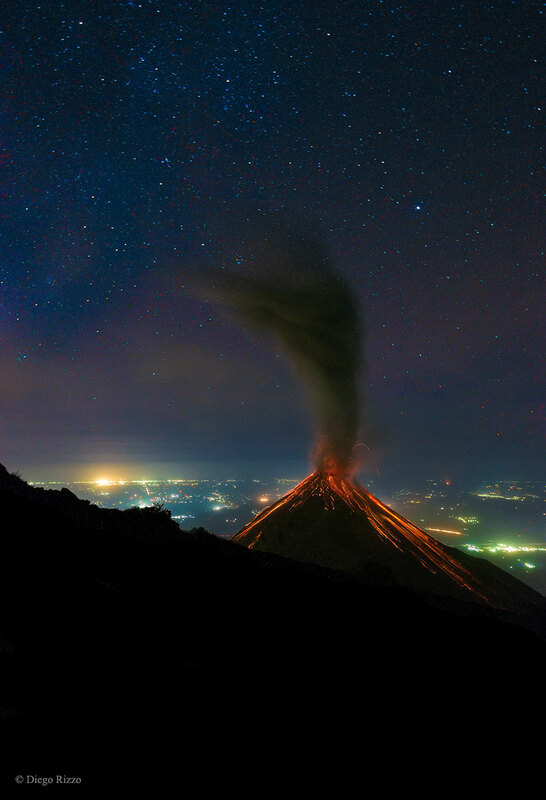 Lights near the town of Escuintla can be seen in the background, one of several nearby towns that have witnessed several spectacular eruptions previously. High above, seemingly tranquil by comparison, are familiar stars from the night sky. Although the Volcán de Fuego usually undergoes low-level activity, when the next spectacular eruption will occur is unknown.